Come and fly your choice of aircraft across the US in our TRANSCON event, featuring live controlling from Center City Philadelphia! Fly real-world flights or make up your own. This event features LAX, SFO, SEA, DEN, LGA, EWR, and JFK! Updated with pilot briefing and booking form. Bump! Event a little more than 2 weeks away! Booking link updated! Event in less than two weeks! We want to be sure everyone has a great flight, but the departures out of KLAX can be a bit confusing. Here are a few notes for those departing KLAX. If you depart runway 24L/R, you are to fly heading 251 and wait for RADAR VECTORS. If you depart runway 25L/R, you must turn left to heading 236 at DOCKR (25R) or HIIPR (25L). This is REQUIRED for separation. Then wait for RADAR VECTORS. Your departure controller will vector you and at some point clear you direct KLIPR. You'll hear something like "TURN LEFT DIRECT KLIPR, RESUME THE ORCKA3 DEPARTURE." Only proceed to KLIPR when instructed. Please do NOT turn right! Turning right puts you head on into KLAX arrivals. We like to think that you don't want to hit things. Please note of the crossing restrictions at KLIPR and KEGGS. If your plane is heavily loaded and won't climb quickly, take the OSHNN8.LAS departure instead. For those routes going through CLEEE, the correct departure is the DOTSS2. 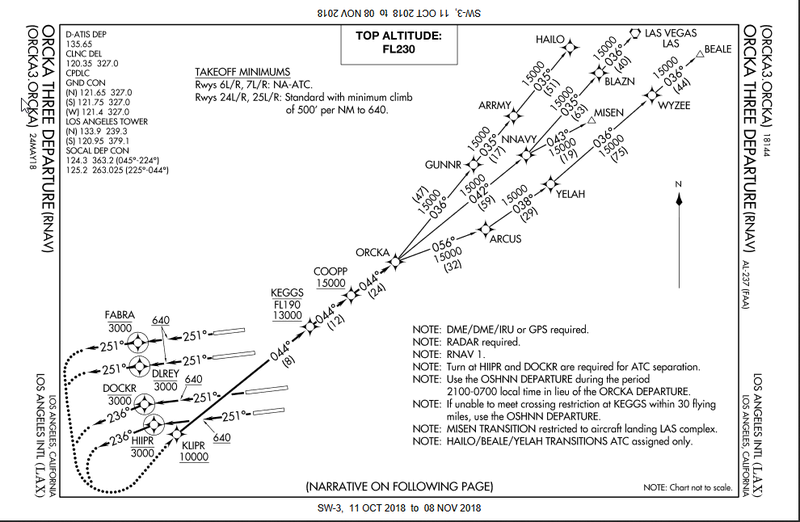 Again, please note the turns required at DOCKR (25R) and HIIPR (25L). Being sure to follow the departures as described helps us get more departures out as quickly as we can. As always, if you have a question, ask here or talk to your controller on the ground before trying to figure it out in the air. I booked DAL444 out of LAX at 7:07am however I would like to fly under my VA for the hours, is it possible to fly as WWA1990 (in my case) as a charter for DAL444 and put that in the Flight Plan remarks? Yes, the flight callsigns are not necessarily mandatory. Most of them are the actual callsigns but some (those with asterisks) are made-up ones to increase volume. Awesome thanks! See ya in the skies Friday night and Saturday morning/afternoon! PHL TRACON: "Philly TRACON, go ahead." PCT: "APREQ Envoy thirteen-thirteen Dulles to Philly via JERES"
PHL TRACON: "Envoy thirteen-thirteen to Philly via JERES approved." ZBW: "New York Center, Boston..."
ZNY: "New York Center, go ahead." ZBW: "Reference Delta one-zero-four Boston to Philly taxiing to the runway." ZNY: "Delta one-zero-four to Philly release by 0020 void 0025." ZBW: "Release by twenty past, void at 25." PHL: "Washington Center, Philly TRACON..."
PHL: "Can we get 25 miles-in-trail over ESSSO?" PHL: "CID 4747 over Nottingham (OTT) is the last." ZDC: "Roger, 25 miles-in-trail over ESSSO after CID 4747." Here are photos from the Live Event!